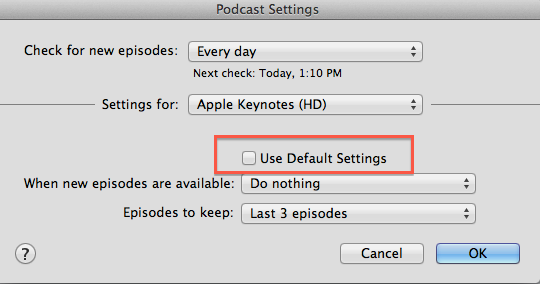 I would like to change the default settings for all podcasts. I know you can edit each one of them individually, but I would like to change the default for all to "Download All" and keep "All episodes". 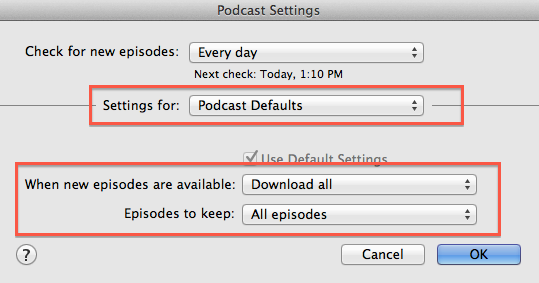 iTunes 11.1.2 adds a new dialog for changing podcast settings. 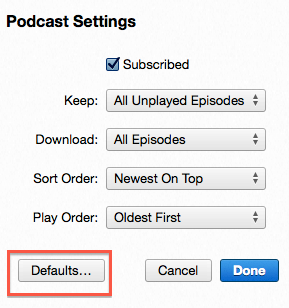 Select Settings and select Defaults... to change the default podcast settings. In iTunes 12.4.3.1 go to Podcasts, and click Defaults at the bottom of the list of your podcasts. 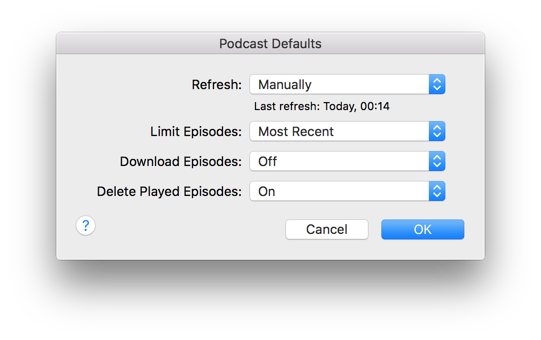 Then you can set the default settings for all your podcasts (changed settings will also apply to existing ones if they're still set to default settings). Try selecting NONE of the podcasts. 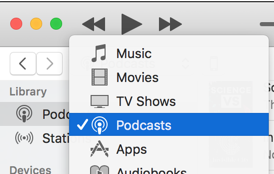 Click on an empty spot in iTunes and then change "Settings..." That should change the defaults for podcasts you subscribe to in the future. 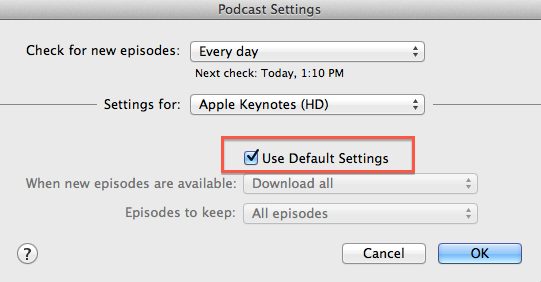 On iTunes 11.4 where do you change the default settings for Podcasts? Where do I change the default iTunes U download settings?